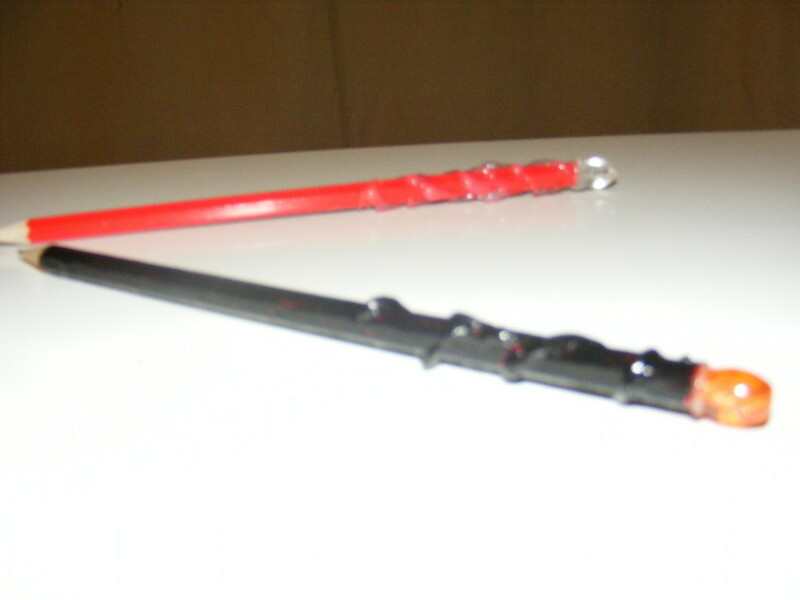 I made these to go with some Harry Potter stationery for a HP swap with Hannah. Please note: the 20mins project time is from start to finish, including glue setting time and nail polish drying time. You could make a batch of these in an hour to use as party favours etc. Please let me know what you think and, if you are inspired to have a go, post your versions!! 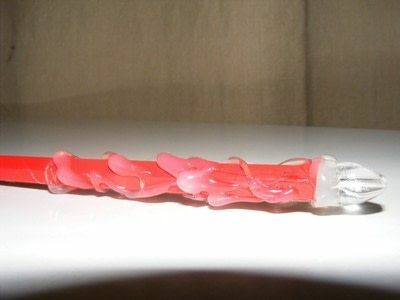 Swirl hot glue around the top half of your pen or pencil. Add a splodge to the end and attach your bead. You can stand it up in a blob of blutack or in the hole of a threadreel. 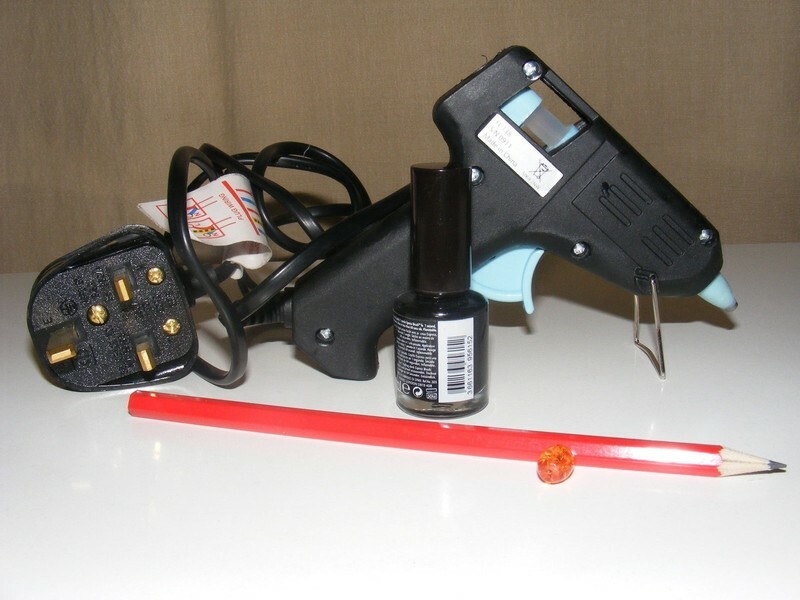 Paint with 2 coats of black nailpolish and allow to dry. 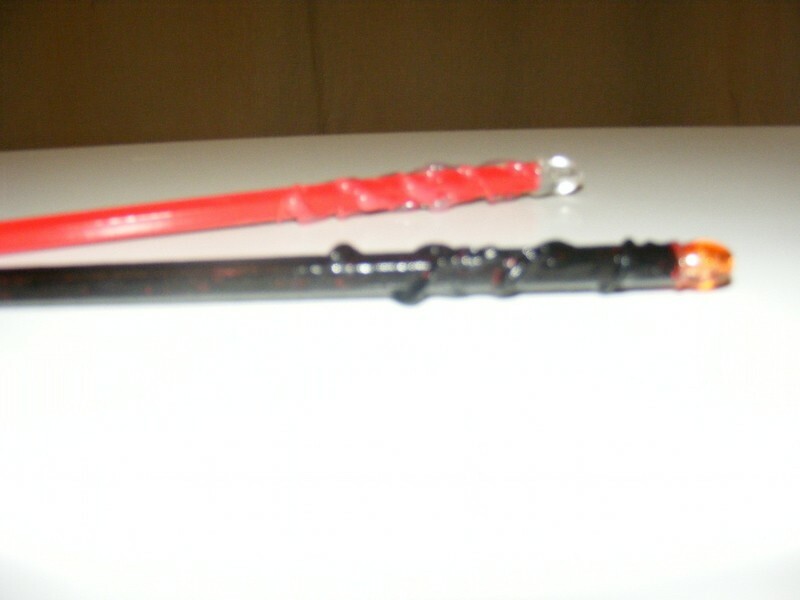 Write your wizarding memoirs or scribble down your spell recipes in style. I'm gonna try some that are painted first then the swirls added on top with a glitter melt glue stick.